Are you interested in the latest and greatest anti-aging secrets? 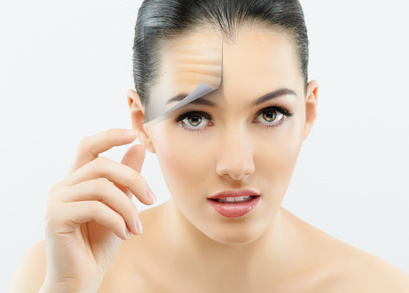 Do you want to try the latest laser treatments and clinical procedures to reverse wrinkles and fine lines? Well, there is certainly something to be said for those procedures. But there are also plenty of not so secret anti-aging secrets that you could try first. Teenagers and younger people have a number of hormones being released that older people do not. Those hormone levels are naturally designed to slow down by the time people get into their late 20s and early 30s. Those hormones control a lot of things, including the softness and suppleness of skin. So, that’s one reason why your skin might look different when you get older. Other reasons mainly have to do with lifestyle choices and sun exposure. The choices you make in your life can definitely change the quality of your skin. For instance, the more out of shape you are, the worse off your skin is likely to be. Sometimes something as simple as exercising for an hour every day can make a big difference. The same is true of making small changes to your diet by substituting healthier foods for unhealthy foods. Of course, it also helps if you avoid bad habits, such as smoking, since smoking can cause your skin to become thin, dry, and papery. Sleep is also a vital part of keeping your skin looking its best. Your body needs time each day to repair itself. Whatever trials and tribulations your skin has gone through during your busy day, it can start to fix itself at night. But it needs enough time to do that, which means that you have to get plenty of sleep. Once you have taken care of those simple steps, it’s time to start a skincare routine. That doesn’t mean investing in dozens of products and spending as much money as if you went to a medical lasers sale and bought your own laser treatment machine. In fact, a cleanser, an exfoliating scrub, and a moisturizer are really the only components that you need, but you may want a separate lotion or cream to use at night as well, since some creams are specifically designed to help your skin repair itself while you sleep. As long as you follow a consistent daily skincare routine, you should start to see improvement. However, the trick is to stick to your routine. It could take time to see results, and it will take even longer if you skip days here and there. In either case, you might eventually find yourself needing professional lasers or other treatment, but taking care of your skin now can delay that outcome for quite a while. Absolutely agreed. Skin you have to care and maintain. great post. that is some useful information. I'm always looking to fight the effects of aging! These are really useful tips. Thanks so much for sharing them Charu!